Before I get into detail about Haute Couture week which is happening in Paris right now, I need to explain my absence. You will have noticed that BLOGMAS stopped for me half way through December and that was not due to a lack of interest or work getting in the way. A family member of mine took very ill in the run up to Christmas and sadly passed away on Christmas day. It has been a rough time for us as a family and I had to take some time to focus on that. I’m still a little behind with work and emails and the like but I am catching up. And I’ve decided this year, to keep to two blog posts a week so that I can deliver the best content I can that I think you will like. So what’s up first? 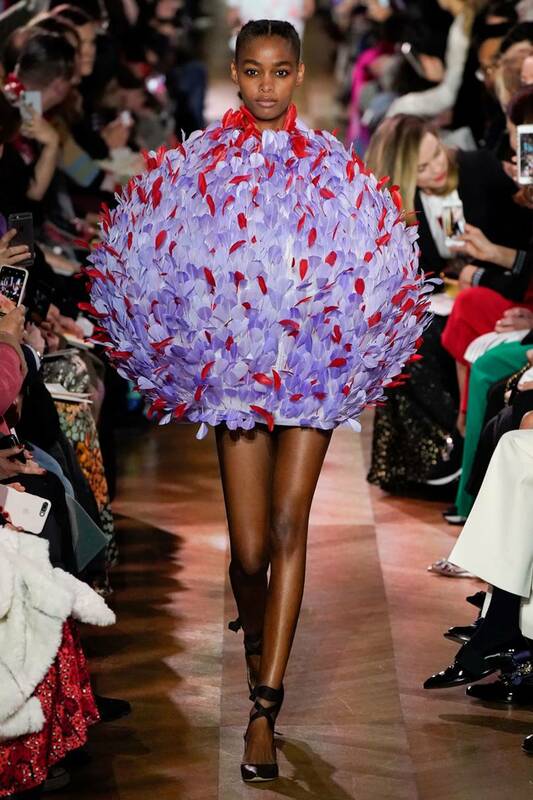 Well this week is one that is very exciting for anyone who works in fashion as Haute Couture week shows off its finest wares. Couture week is different to the “fashion weeks” you read about in February and September. Couture week happens in Paris each January and June to show off the custom items that couture design houses produce. These are all bespoke, tailored pieces that command the biggest budgets to buy. Also, design houses producing haute couture pieces must be recognised by the Chambre Syndicale de la Haute Couture , so Chanel, Dior, Valli are all on the list. You can click the link above to read all about it. Now, back to 2019. What have we seen in Paris that will shape our style. We tend not to take too many trends from Couture but I do see a correlation between these and the ready to wear collections. Each design house has some kind of identity that transfers I believe. 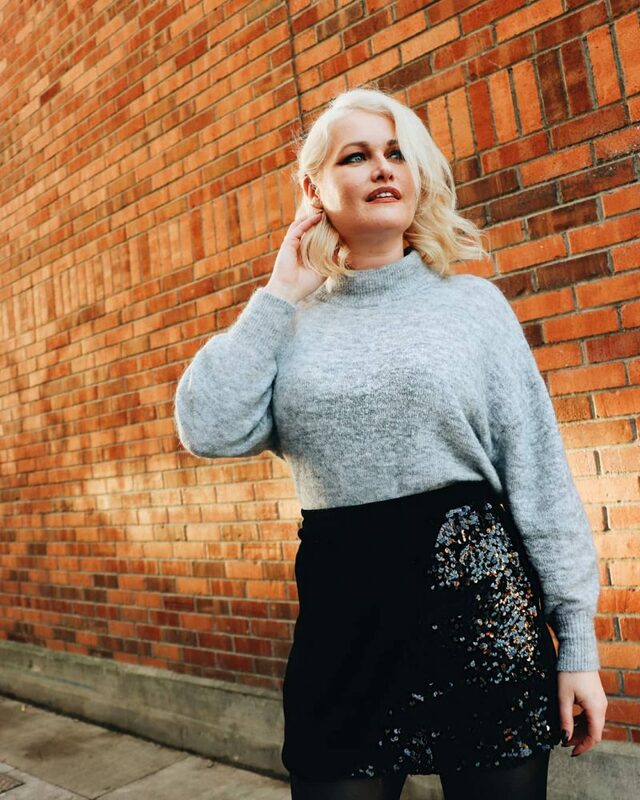 Firstly, let’s talk tulle. Courtiers love them some tulle. It’s voluminous, dramatic, elegant all at the same time. It layers well thanks to it’s structure so during Couture week we see a lot of candy floss size gowns. 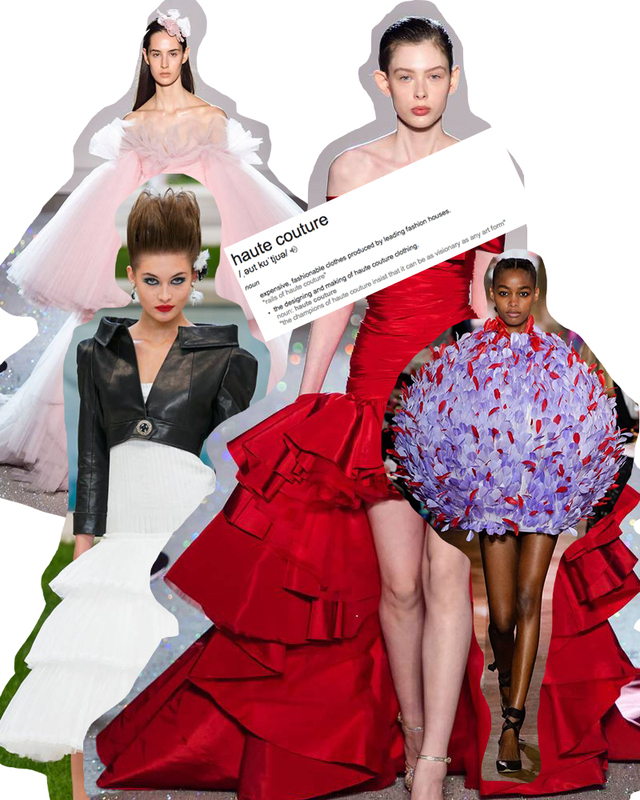 Some that have had a jaw dropping effect include Schiaparelli’s cascading tonal gown worn by Erin O’Connor, Ralph & Russo’s blush wedding gown with a bardot frilled neckline, and Giambattista Valli’s pink hi-lo masterpiece that took up the width of the catwalk. Also noted is the inclusion of stronger hues. I always think Haute Couture assumes a softer palette but this season so far even a shocking pink 80s inspired mermaid cut gown made the cut at Ralph & Russo. 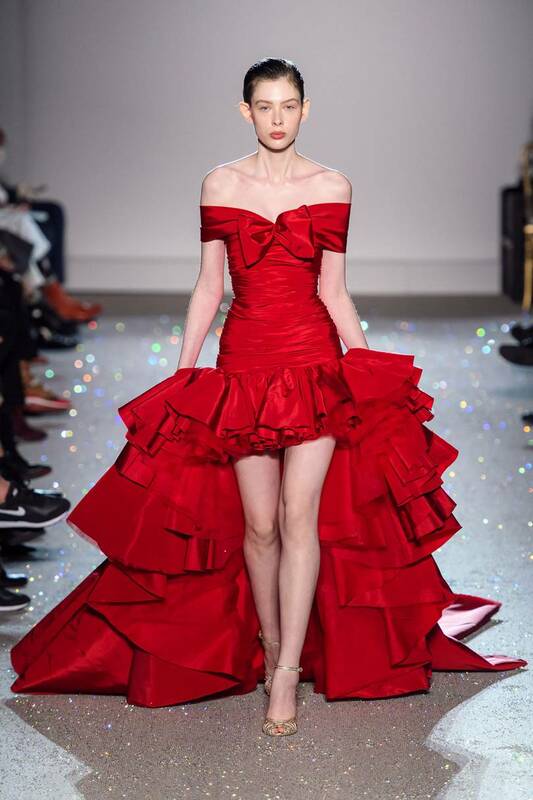 Most noteworthy is Valli’s bright red cocktail gown that reminds me of something from Desperately Seeking Susan (that 80s movie with Madonna). Black makes an appearance through Dior’s black mini dress (model’s had embellished swim cap-like hats on) during a show that was more like a performance. And back to Schiaparelli for a mash up of all the colours imaginable from an orange-mint combo to a rich, decadent berry. I’ll take note for some styling ideas this year. But my favourite part of Couture week has to be the fun factor. 70% of the gowns are for show in my opinion, and I expect to be wowed when I see the collections. I can go to ready to wear to do a trends analysis in more detail, but I look to couture for the aspirational pieces that showcase the talent of the world’s greatest dress makers. A feather adorned sphere at Schiaparelli, a mint green beaded co-ord at Ralph & Russo, and the endless tulle creations at Valli, all make my fashion filled heart flutter. Chanel gets a whole paragraph on its own. Absent from this morning’s show was it’s King, Karl Lagerfeld who was reportedly feeling tired and needed rest. But his signature look for Chanel was very much present. The emblem of Chanel, bouclé came in the form of midi skirt suits in neutral tones. But pink reigns supreme for Chanel and it’s couture friends with nearly every house throwing shade all in the name of pink.